Like so many great companies, American Frame started in a family garage. Founder Ron Mickel had a small hardware store in Toledo, Ohio, beginning in the 1960s. He offered custom framing along with the usual tools and garden supplies. Made in the early 1970s, aluminum sectional frames; they could be custom cut like wood, enabling do-it-yourself framing in a modern, new material. Recognizing the potential to reach customers nationwide, Ron put an ad in American Artist magazine. Soon the frame orders were rolling in and the entire family began assembling and shipping them from the garage. Today, three generations of the family work together at American Frame in Maumee, Ohio, to continue the tradition of offering fine frames and custom framing. Collage of varying sized Profile frames in Black. We have worked with American Frame since 1999. 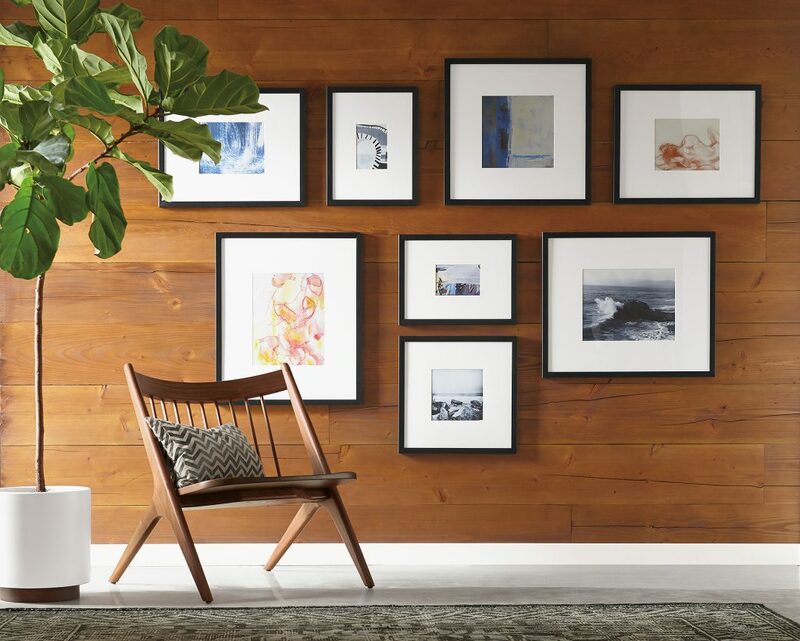 The company provides two product types for Room & Board: frames and framed fine art prints. In many cases, the company both prints and frames the art, using cutting edge printing technology and archival materials. We’re proud to work with this U.S. company to bring you the highest quality frames.